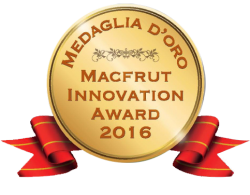 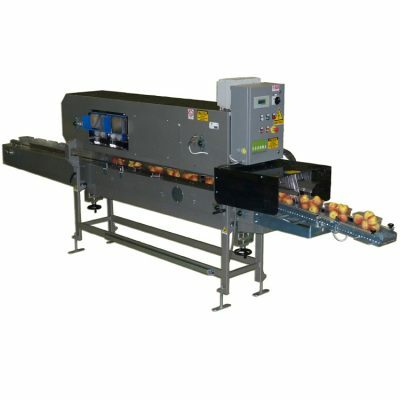 The machine is suitable to handle 0,5 to 1 kg punnets, size 112x195. 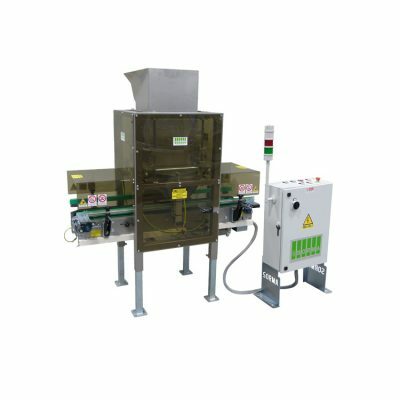 The machine mod. 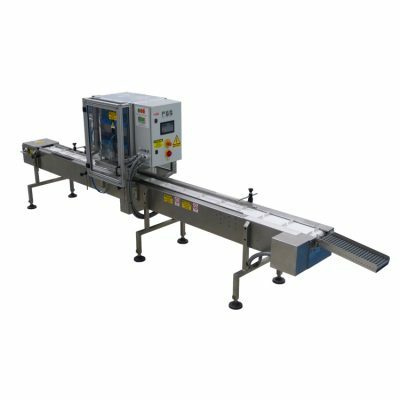 ACS-115 is composed by a chain conveyor, controlled by a variable speed motor. 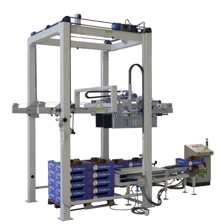 Punnet filler equipped with a 2 rows automatic denester. 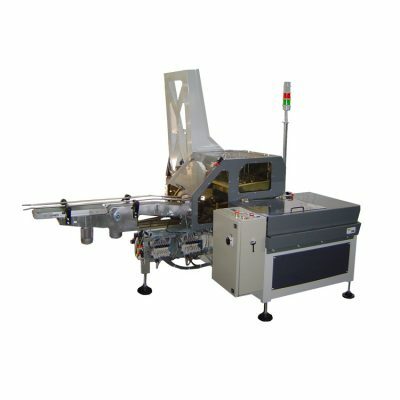 The machine is suitable to handle 120 grs. 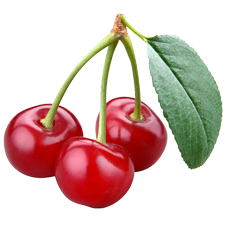 to 1 kg, triangular, square, rectangular, round or trimix punnets. 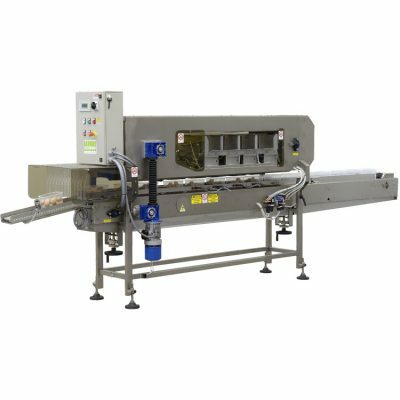 Box filler, with 1 kg (or 0,5kg) netted punnets. 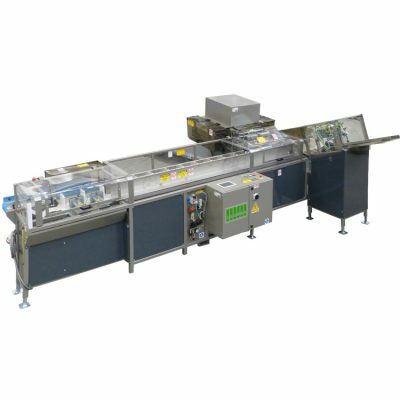 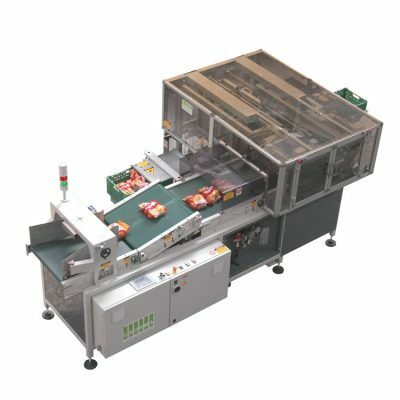 High-speed filler suitable to introduce packages into supermarket boxes. 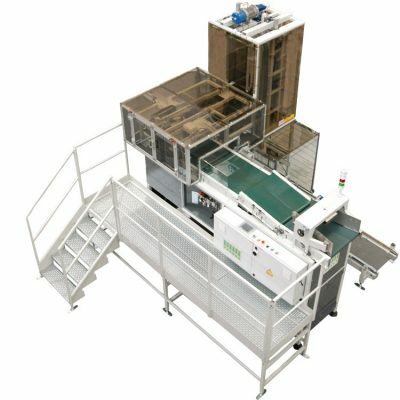 The machine is designed to fill BINS with packs of horticultural produce. 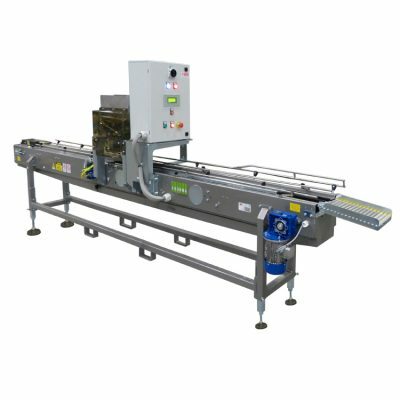 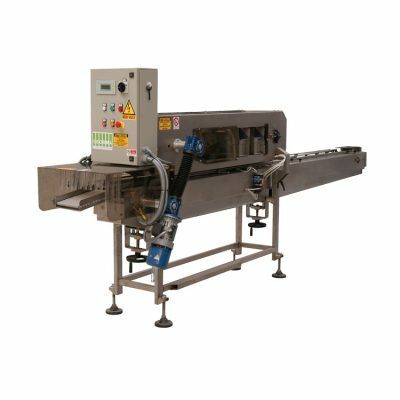 The machine is a bulk box filler for non-delicate produce such as potatoes and onions.